Synopsis: Berlin, 1940. Seduced by a German woman and beguiled by Hitler's promise to guarantee the independence of Quebec, a Montreal journalist lends his voice to the Nazi propaganda machine.Forty years later, Christopher Chenier discovers he is the son of a singular man who saved the life of Winston Churchill and played a decisive role in the destiny of the Fuhrer. Was his father a hero or a traitor? 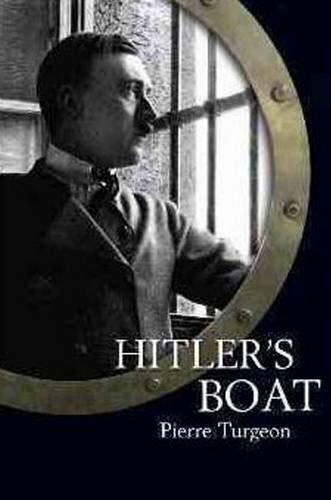 Who was the enigmatic Lizbeth, his mother?Perhaps the answers lie aboard the Helgoland, the boat intended to carry the Fuhrer away from his enemies, now moored in the Baie des Chaleurs, off the east coast of Canada. Christopher Chenier undertakes a perilous journey in search of these dead people who gave him life.Here is an amazing tale of love that plays out against the backdrop of a larger drama. It is a wild and fascinating story, an unsettling read from beginning to end. About the Author&colon; Pierre Turgeon is a journalist, historian, editor, novelist and book publisher. This author of 16 books has twice won the Governor General's Literary Award in Canada for his novel The First Person and his book Radissonia: The James Bay Adventure. Pierre also co-authored the non-fiction bestseller Canada: A People's History (Volumes 1 & 2).